The leaves turn red and the weather cold, and I seem to have my cooking mojo back – these days, when the rain is drumming on the windows, I take comfort in the smells and textures of cooking a pot of spicy soup or baking an apple pie. And judging from the images in the Mobile Monday pool these days, many of you seem to be thinking along the same lines. I hope you are all enjoying the comforts of autumn! Beautiful autumnal colours and yummy food. Perfect comfort for the eyes. Seeing this makes me miss New England so much. Here in Florida, Autumn means cool breezes and quieter beaches. Aahhhhh, yes. Autumn is arriving. My favorite season. Autumn is definitely here, such lovely shots to welcome it. Fall is my very favorite!!! This display is perfect!!!! Wonderful! 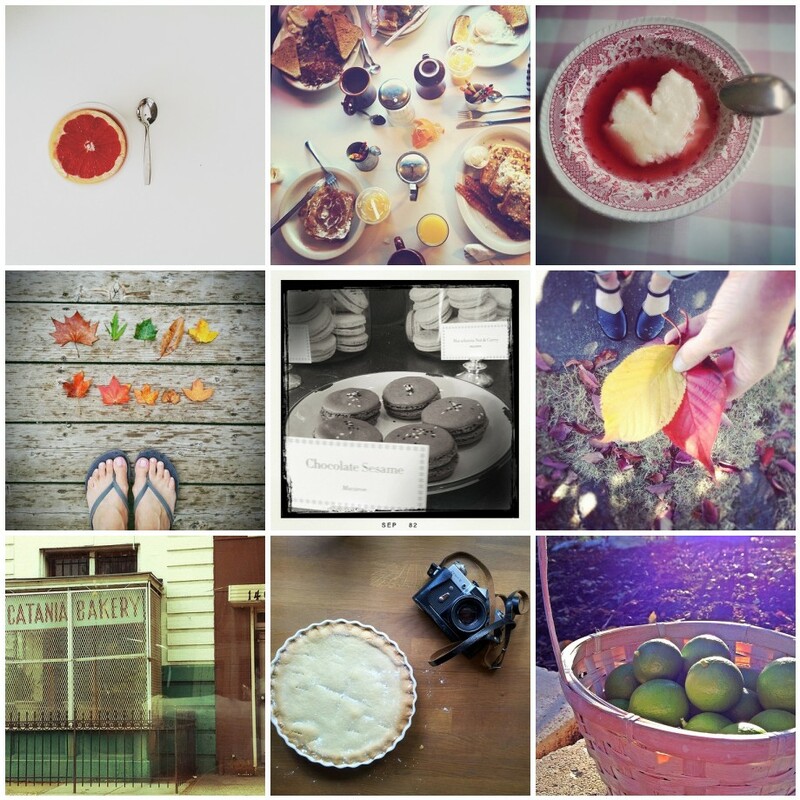 I so love the comfort of fall and these photos celebrate it so well. lovely shapes and color. they look delicious all together. I’ve never been very good at food shots, these have inspired me!